If you haven’t noticed by now, people are fawning over the refreshing coolness of the color mint. It’s everywhere! 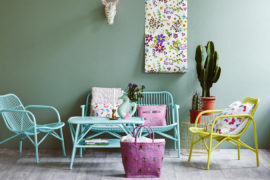 Back when pastel colors were a popular choice for decor, mint barely touched the tip of the iceberg. But now, this one-hit wonder has captured the attention of fashion artists and interior designers alike. 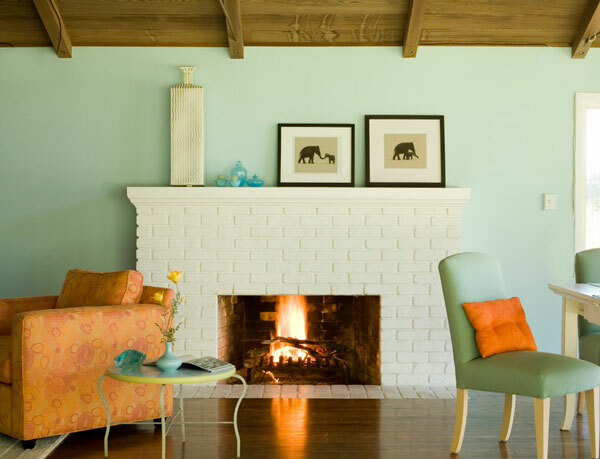 This color can help boost home energy as well! 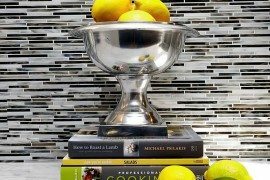 How to Incorporate the Color at Home? 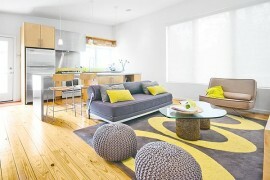 For starters, the living room would be a prime location to welcome this new shade of color. 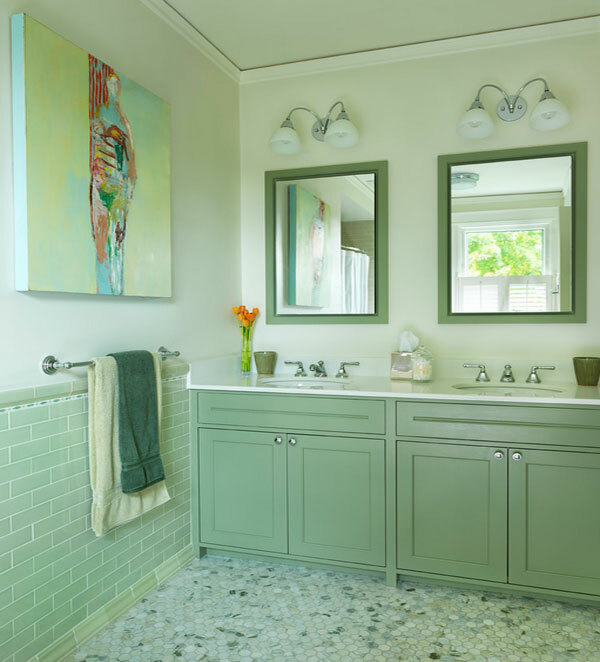 Mint is delicate enough to create a romantic setting, but it is also vibrant enough to remove the dullness from monochromatic rooms. 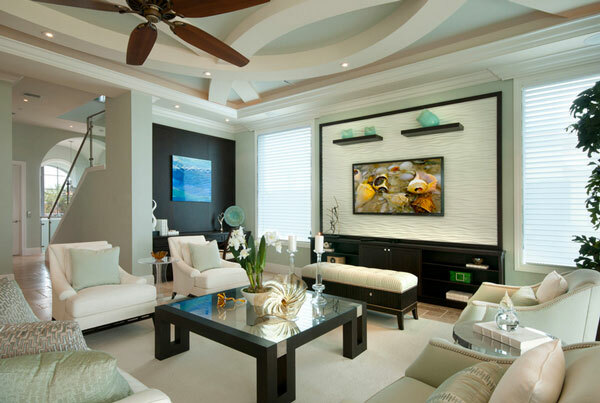 When you want to create a contemporary scene at home, be sure to consider mint-colored walls, as they offer an interesting interplay of visually stimulating details when contrasted with other solid colors. While most people enjoy complementing mint walls with white frames, black accents can enhance a mint-themed room with a modern twist. Because black distinctly grasps a stronger hold of interiors, mint-colored walls or doors can liven up the room by adding a burst of color. 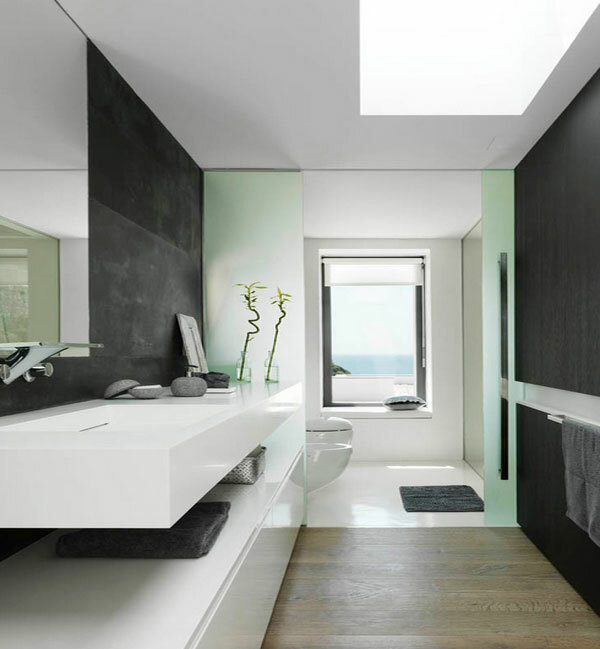 The bathroom above is a good example of how mint and black can be used flawlessly together. 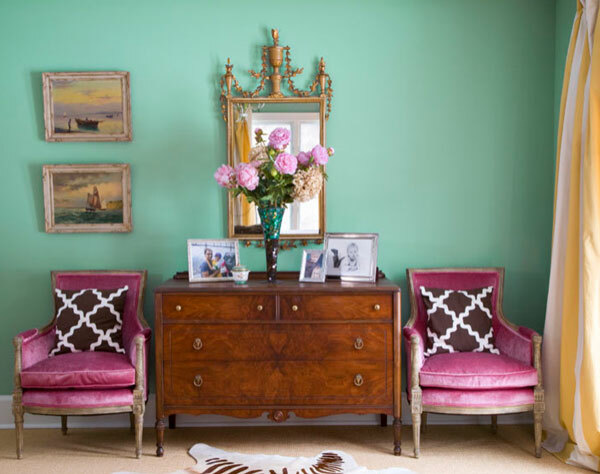 As much as I would love to see mint green walls in everyone’s home, I must admit that this color is often reserved for girls who are more in tune with their creative side. Sorry guys, looks like you may prefer a shade that’s more robust! 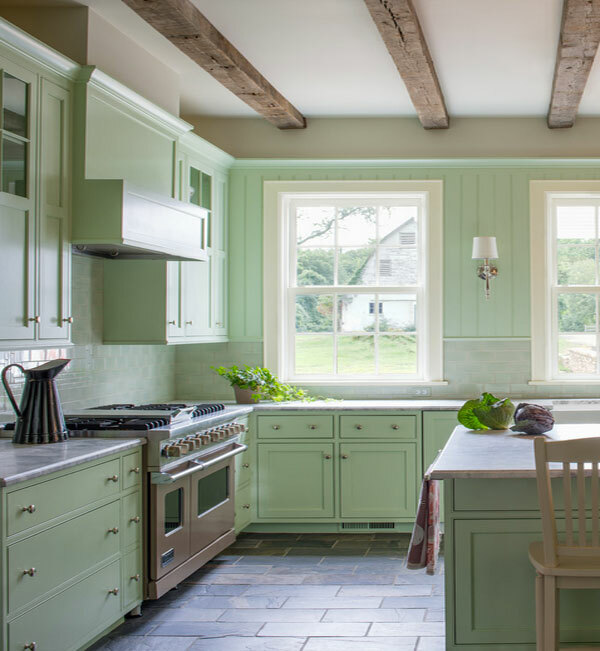 Mint green walls do not necessarily need to be saturated with color; instead they can take a more subtle direction and be drawn to the white side of the color wheel. 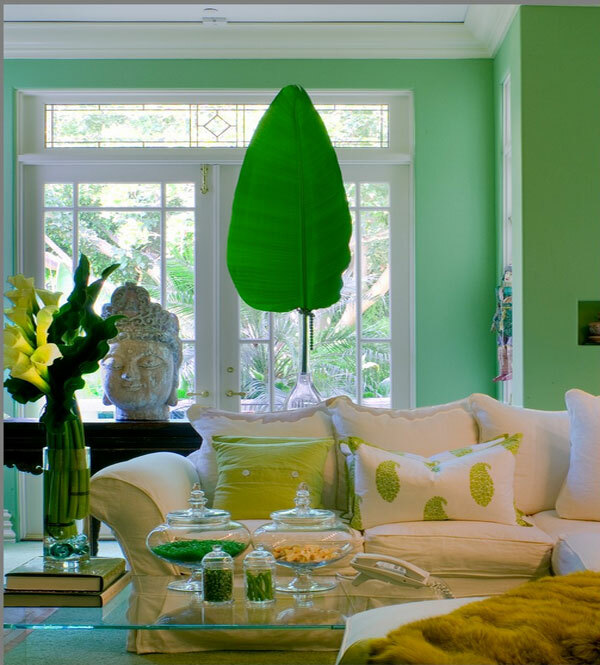 The living room above is a good example of how lighter shades of mint can be just as beautiful and elegant. Don’t you think this mint theme is extremely easy on the eyes? 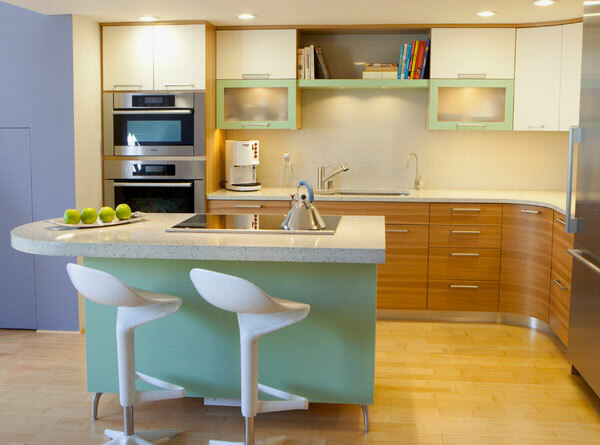 Mint green walls in the kitchen are a smart choice for those epicurean souls out there. This color references natural beauty and replicates outdoor scenery indoors. 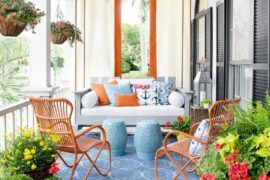 If you can get past the giant leaf in the room above, this living room setup is a refreshing design that incorporates both high-fashion elements and trendy colors. 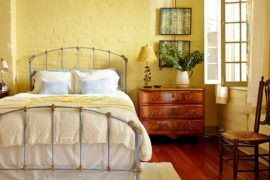 The fluorescent green pillows and the cream-yellow couch are great selections for a home that’s flowing with natural light. Nothing says spring like a relaxed shade of neon mint. The color is perfect for welcoming new beginnings during this time of year, especially when flowers are starting to bud. 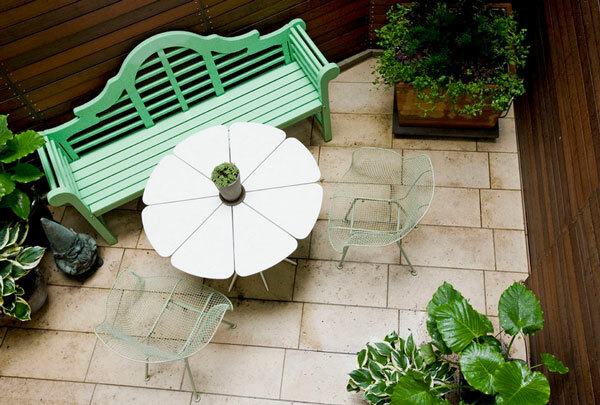 How about a pot of tea in the backyard with a comfortable mint-themed bench? Don’t you think it would be nice to hear the birds and catch up on a good book in an atmosphere like the one above? If you are crazy about the color like me, then perhaps you can let your imagination run wild and create a wonderland of mint furnishings and decorations like the bedroom above! 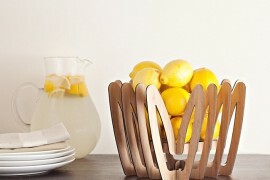 Go for a Parisian-inspired design and let mint furnishings complete the picture for you. Match it with white pillows and intricate patterns for a dramatic look. You don’t need to go all out to effectively take advantage of the color. 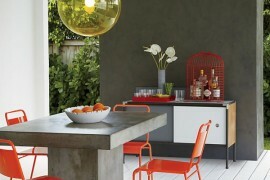 Paint multiple sections of the kitchen like the selection above to avoid overpowering the overall decor. I hope you enjoyed some of the selections in today’s post. If you have any ideas or suggestions, don’t forget to share them with other readers below!